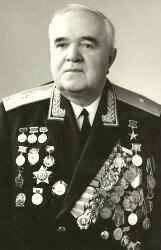 Musical director for the Alexandrov Ensemble after the death of his father Александр Васильевич Александров. Born August 4th, 1905 in Bologoye, Russian Empire. Died June 17th, 1994 in Moscow, Russia.